This may not sound like the most appealing meal in the world, but I tell you it’s delicious and rich! The egg yolk from the boiled egg combines with the sauce to make a really creamy tasting curry. My LO loved it and wasn’t fazed by the way it looked; in fact, she was all for it with no complaints. I find this curry to be a godsend when I don’t have a lot of time – great for an after work family meal as it only takes 15 minutes to prepare. But even better, I can whip it up using ingredients in my kitchen. It’s nothing fancy so I’m pretty much guaranteed to have everything I need to hand. 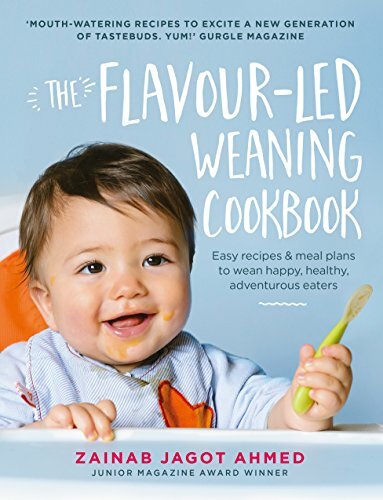 Combine this cost-effective family meal with the fact that it’s also protein-rich and great for the whole family – this one’s a WINNER!! Boil the eggs in a pan until hardboiled. Peel and set aside. Whilst the eggs are boiling, heat oil in a frying pan, add the onion and stir-fry the onions until browning. Then turn to low heat and add the turmeric, cumin, coriander, lemon juice and salt. Cook for one minute stirring continuously then add the tomatoes (with the tomato sauce from the tin). Simmer until the sauce thickens. Once the sauce is ready, slice the hardboiled eggs and add to the curry sauce. Combine well and garnish with coriander. Serve warm with roti and salad. 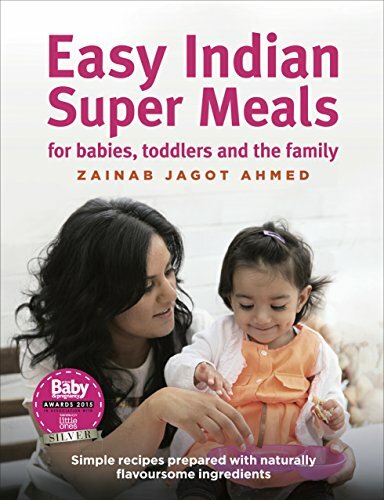 You can find more delicious family meal recipes in Easy Indian SuperMeals for Babies, Toddlers and the Family available to buy now from Amazon.